The book «Arms and Armor from Iran: The Bronze Age to the End of the Qajar Period» consists of 780 pages, where you can find the research and descriptions of items from 10 museums and private collections. Half of the book is devoted to the history of Iranian weapons, while the second half presents beautiful illustrations of the studied items. 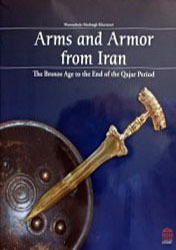 The book is of a worldwide importance and is the main source to study Iranian weapons.